Located in Lajpat Nagar, it is ideal for guests who need to travel convenienlty around the city. 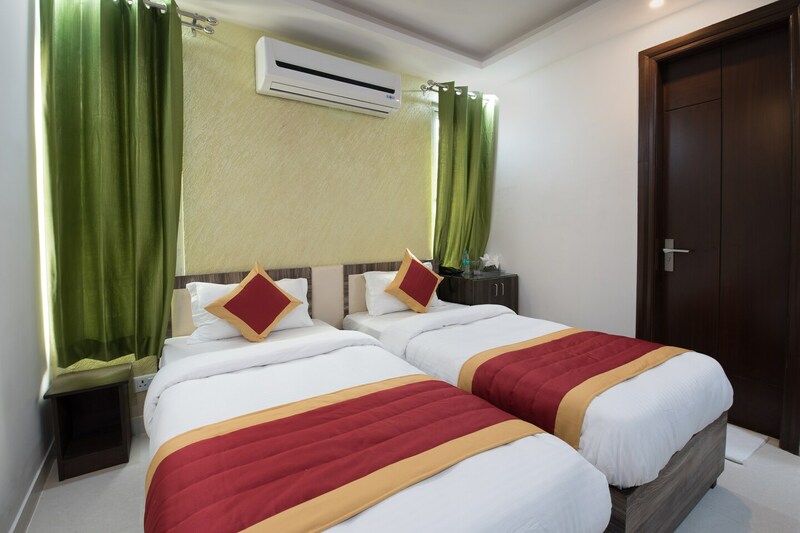 It has a Conference room, Banquet Hall and a dining area .The rooms are done up in minimalistic decor, equipped with essential amenities for a comfortable stay. There are a number of restaurants like Thok (The House Of Kakori), Delivery Jack, Kakaji Corner, Captain Grub, and You Got Served located in the close neighborhood of the hotel where you can enjoy relishing delicacies.